The Cesar Chavez moon bounce district isn't the only area in Austin that's blowing up. There're a ton of new restaurants popping up across town that are totally worth checking out, even if they don't serve Cronuts. We hit up alllll of them and narrowed down the newly openeds to five actually worth checking out. 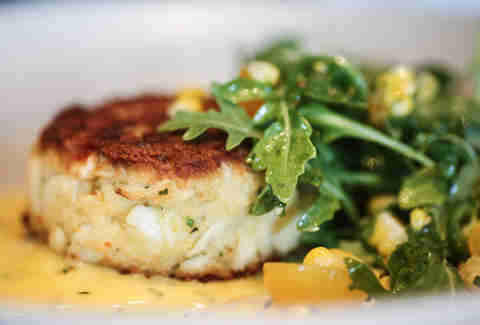 Iconic Austin fine dining institution Jeffrey's has reopened under the direction of the restaurant baron behind Perla's. The decor has been made more contemporary (think Wes Anderson-ish), while maintaining a classic Austin feel (think Lance Armstrong before the drugs made everyone forget about his womanizing). The menu's most notable for the dry-aged steaks, but for those not looking to drop a bill on a NY strip (hey now! 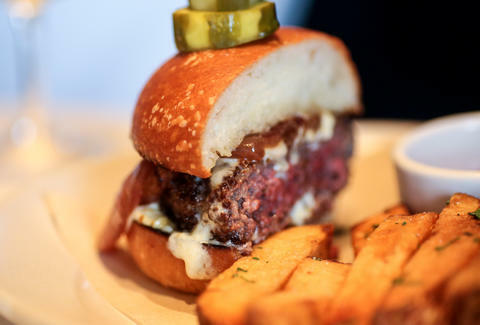 ), the bar menu's a solid consolation, with a much more affordable dry-aged option: the burger. The folks behind 24 Diner and Easy Tiger just added a third savory feather to their cap with Arro: a French restaurant in the former Haddington's space that's hip and inviting enough to not feel like a French restaurant. The $25 prix fixe menu is a solid move, with offerings like a croque monsieur sandwich loaded with house-cured Parisian ham, and the full menu showcases both traditional French dishes (steak frites) and traditional Big Buck Hunter dishes (grilled antelope). 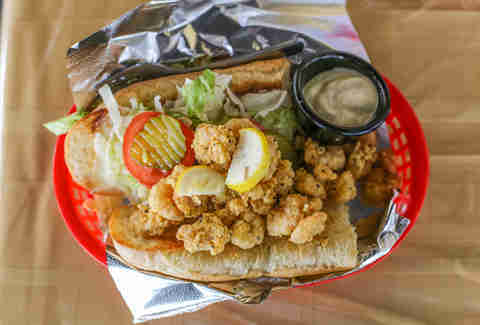 The SoCo trailer known for the richest po-boys in town has gone brick and mortar in the old Your Mom's spot on Cesar Chavez, boasting an array of gigantically portioned fried seafood options, as well as an all-you-can-eat-unless-you're-Vince-Young fried fish special. 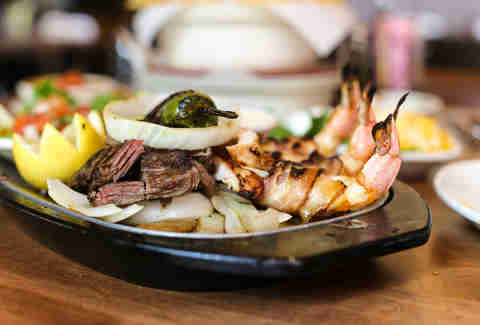 Dallas-based fajita beacon Uncle Julio's has arrived in Austin with a massive Brazos St space in which they're dishing out everything from mesquite grilled frog legs to shrimp that's been stuffed with jalapeno and Monterrey Jack, then wrapped in a sizzling blanket of bacon. This new 6th St bar gets the green light for combining a sprawling E 6th-style patio (bigger than Liberty!) 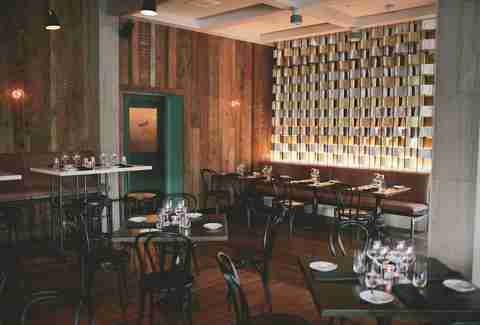 and a not-divey interior space decked out with boutique wallpaper and Edison bulbs. 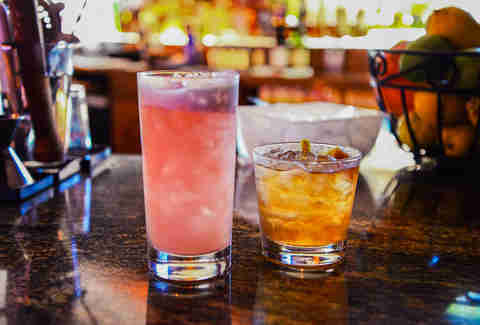 The cocktails feature of-the-moment spirits like mezcal and shrubs, with standouts like a habanero shrub-rinsed French 75 variant called the Lemon the Life.